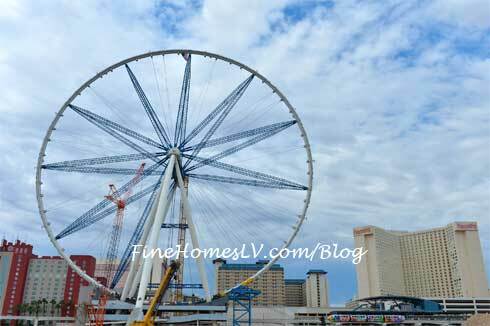 The Las Vegas High Roller final section of the rim was put into place on Sept. 10, 2013 marking a milestone in the construction of the world’s largest observation wheel. 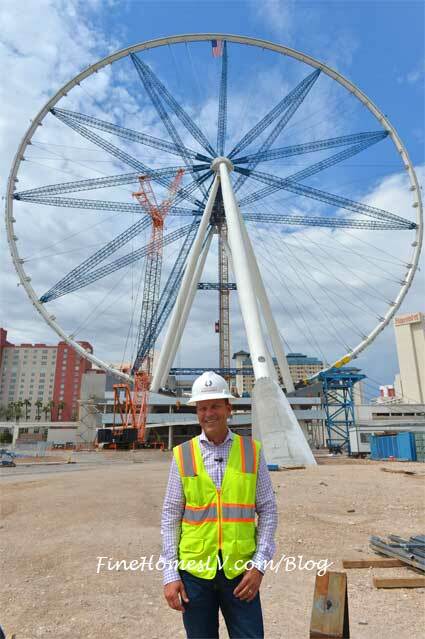 The High Roller will be the focal point of The LINQ, Caesars Entertainment’s $550 million retail, dining and entertainment district currently under development. 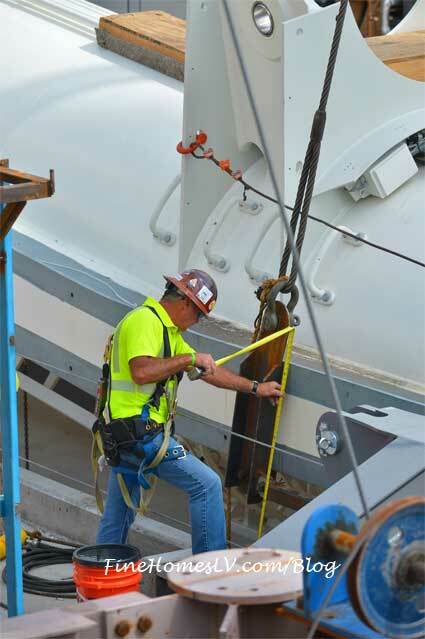 Installing the rim was a complex and intricate process as construction crews formed the wheel from 28 sections. 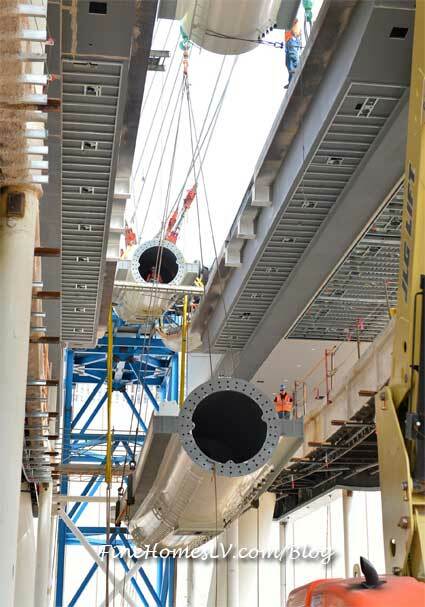 Each rim section is 56 feet long and weighs 44 tons. 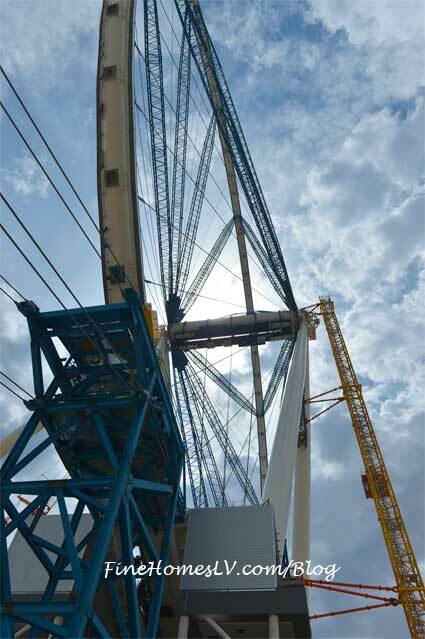 Sections of the rim are currently held in place with temporary radial struts, each measuring 225 feet long. Now that the rim is complete, each temporary strut will be replaced with four cables.